Remember back in December when we were all wondering where the snow was? Well, we found it! Michigan is definitely turning into Antarctica this week, and I’m thankful that we didn’t have this crazy weather for the weddings we had earlier in the winter! 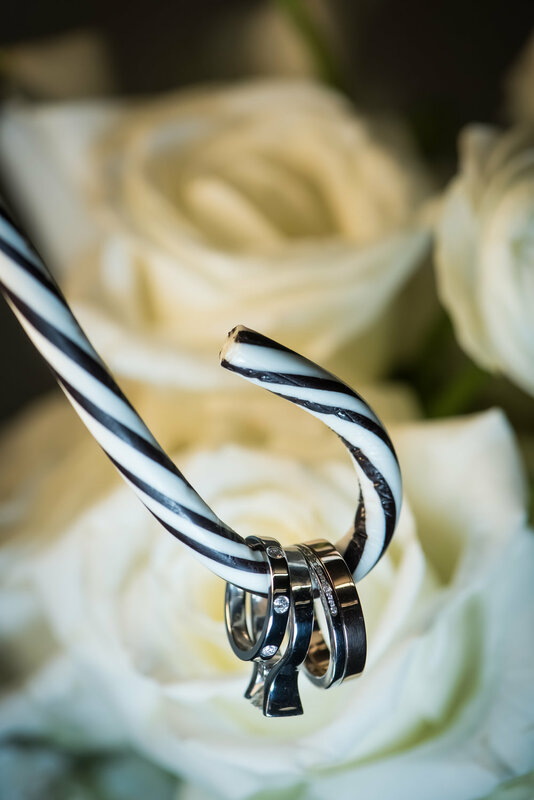 Speaking of those weddings…..we are so excited to finally be sharing this December wedding on the blog today! Kendra and Anthony’s wedding was a dream. So classy, so sophisticated, and just simply elegant. 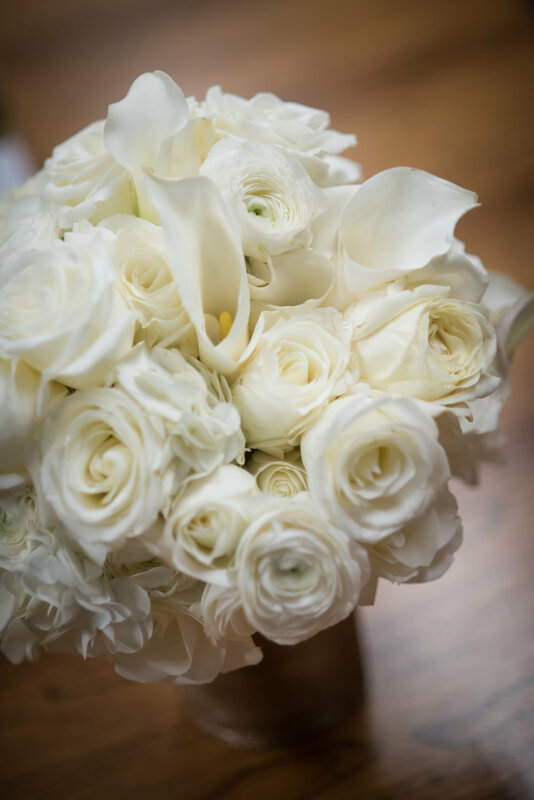 With white blooms being the focal point of the decor, the Glamour and Grit team had a fun time using various types of Roses, Hydrangeas, Ranunculus, and Calla Lilies in the arrangements. We brought in white Christmas trees onto the perimeter of the dance floor, which made for the perfect backdrop during their first dance. 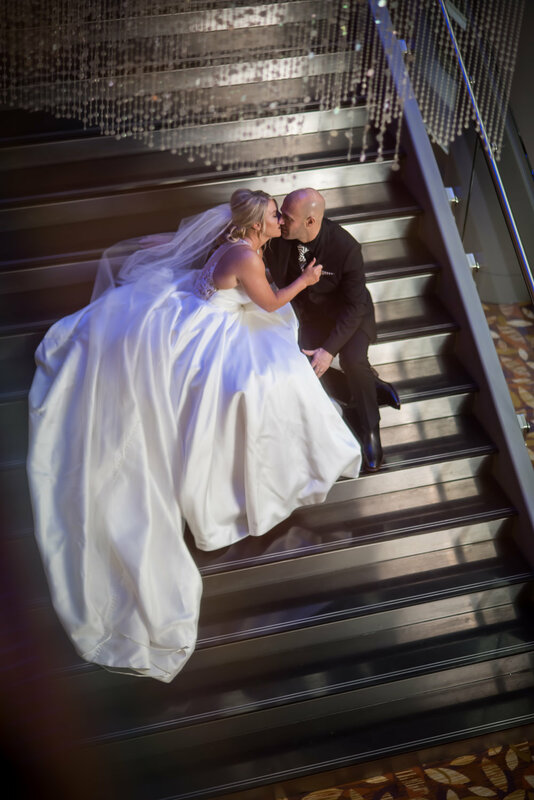 They chose Dan Terpstra as their photographer, and we loved the fact that he had preview pictures for them later that night! Looking over these photos, we are so happy with how the elegance of the day was captured.